Q1. What later star of The Love Boat, had a recurring role as a KAOS agent on the original Get Smart television series? Q2. Did Don Adams and Barbara Feldon ever marry? The main characters of Get Smart were ably played by Don Adams as Maxwell Smart/Agent 86, Barbara Feldon as Agent 99, and Edward Platt as The Chief in Get Smart, below. Popular baby boomer television series Get Smart ran for 5 years (from 1965-1970) and won the Emmy Award for Outstanding Comedy Series in 1968 & 1969. Series star Don Adams (Maxwell Smart) got the leading man role because NBC owned his contract. Adams won the Emmy for Outstanding Continued Performance by an Actor in a Comedy in 1967, 1968 & 1969, 3 out of 5 years that Get Smart was on the air. His comedic intonations for the lines "Would you believe...", "Missed it by that much! ", "Sorry about that, Chief", "The Old (such-and-such) Trick", "And ... loving it," and "I asked you not to tell me that," turned them into popular culture catchphrases that are still used today. During his tenure on the series, Don Adams appeared in every episode of Get Smart and also wrote (2) and directed (13) episodes. Don Adams continued acting well into his senior years, including voice-acting the role of Inspector Gadget in the animated television series and movie of the same name. He was a septuagenarian senior citizen when he acted in Get Smart, Again (made-for-TV movie, 1989), a follow-up Get Smart television series (1995), and in guest-starring television spots and commercials. Don Adams died in 2005, age 82. Co-star Barbara Feldon played the beautiful and cool-headed straight woman to her "Max". 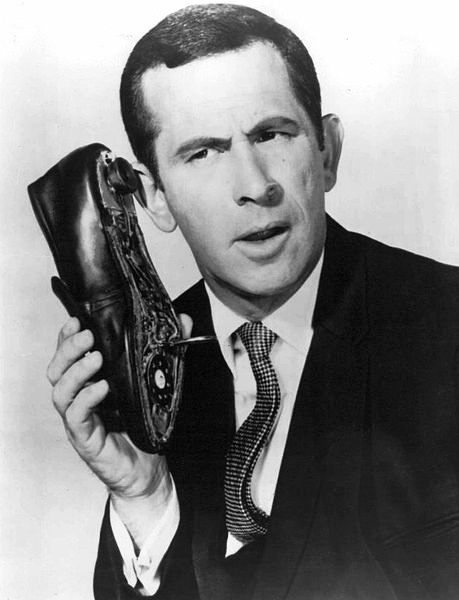 Although Maxwell Smart had the most "phones" on the show (his shoe was used most often), Agent 99 also had her unique "fingernail phone". Feldon continued to act occasionally in movies and guest appearances on television shows after Get Smart ended. She appeared in the 1995 reprise alongside co-star Don Adams. Barbara Feldon became a senior citizen in 1998 and since then has written her autobiography Living Alone and Loving It in 2003. She lives in New York City today and has appeared in some plays, but is now essentially retired. "The Chief" as played by actor Edward Platt, was the grumpy but supportive boss of Agent 99 and Maxwell Smart. 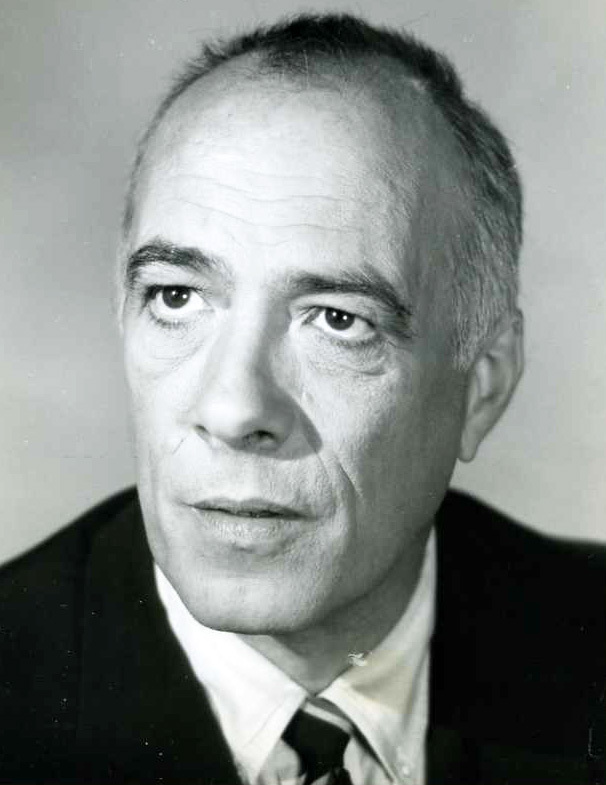 In real life, Edward Platt had appeared in several big-screen movies and television shows in the 1950's and 1960's, before landing the role on Get Smart. When Get Smart ended Platt was in his 50+ years. Edward Platt went on to guest star in other television comedies until his death in 1974 from a heart attack (he was 58). A1. "Doc" on The Love Boat, actor Bernie Kopell appeared on 14 episodes of Get Smart as KAOS agent Siegfried, Vice President of Public Relations and Terror. Q2. 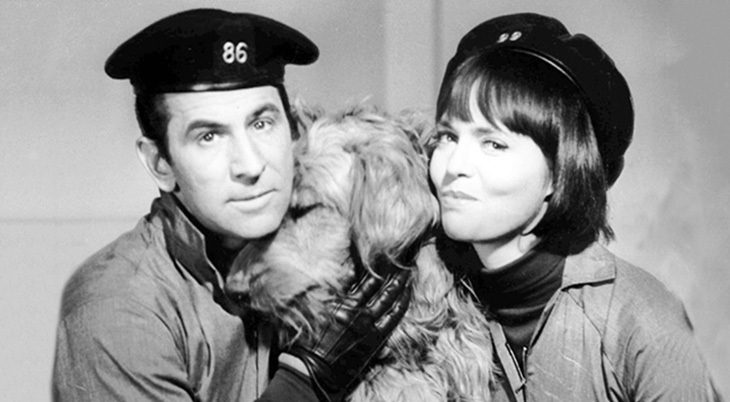 While the characters played by Don Adams (Maxwell Smart) and Barbara Feldon (Agent 99) married in the 4th season of Get Smart, and the actors had great chemistry and became the best of friends during (and after) the show, they never married in real life. Memorial Service Music - Hells Bells?